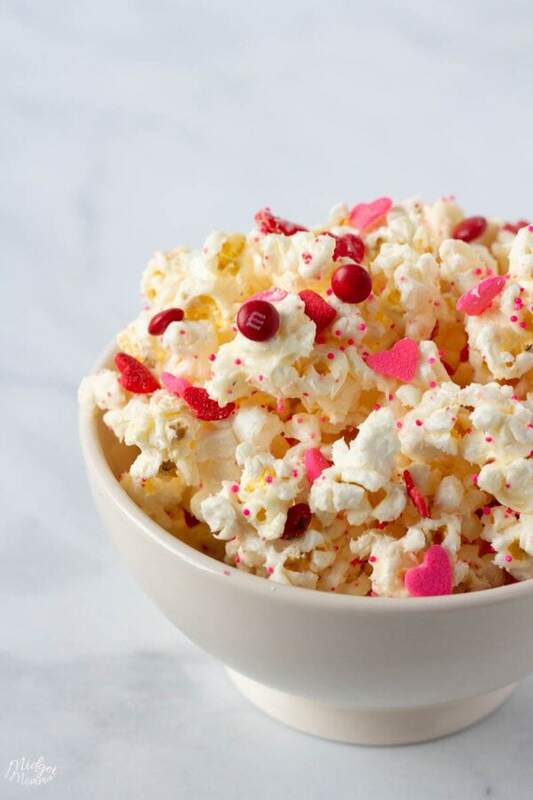 You know what is super easy and the kids will love on Valentine’s Day? Making them a Bacon Heart (or a bunch of them)! 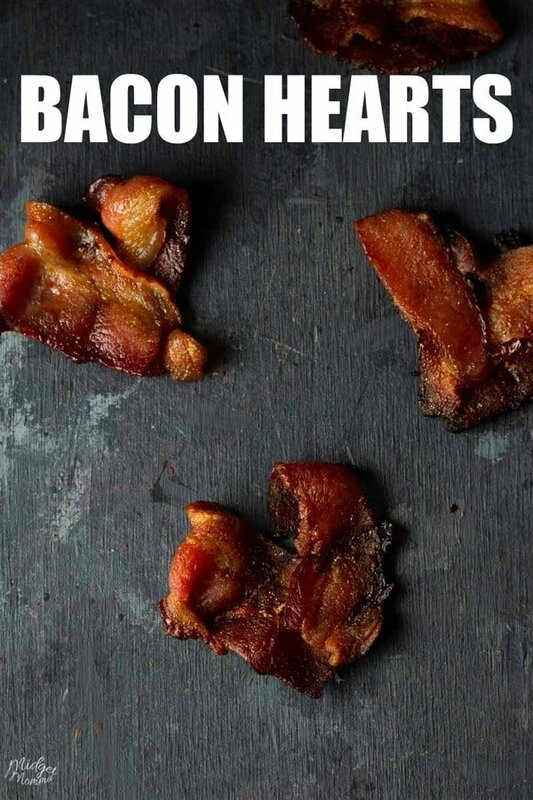 And making a bacon heart is sooo simple! 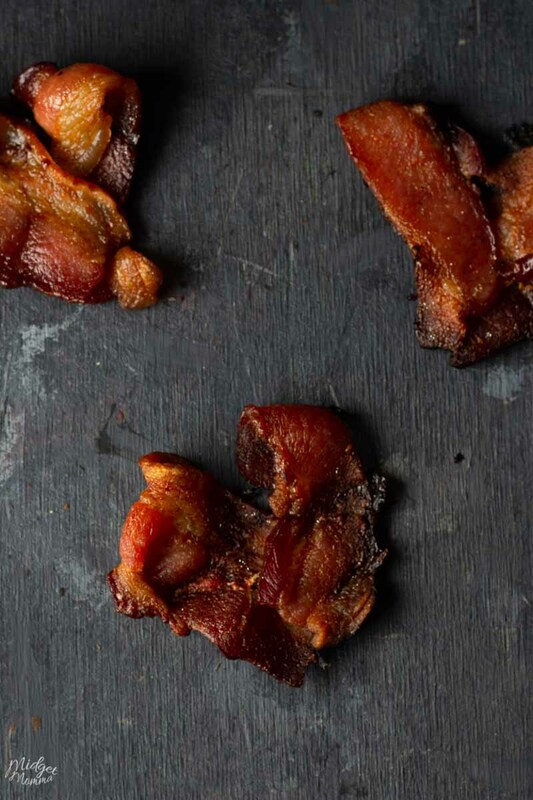 This Bacon heart recipe go perfect with any Valentine’s Day Breakfast! 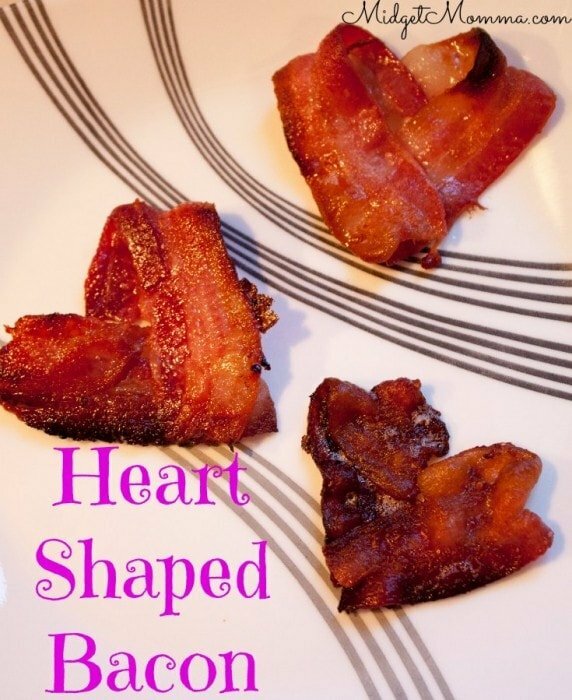 Bacon Hearts are an easy Valentine’s Day breakfast idea that my kids always love! The one year I didn’t put a Bacon heart on their plates for breakfast they all gave me the biggest side eye, to make it known that something was missing from their plate. When making a beacon heart is it important that you use regular cut bacon, do not use the thick cut bacon, it makes it difficult to form a bacon heart. 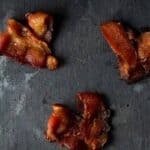 If you’re bacon is too wide you can take a knife and cut it thinner and then just cook up the extra pieces for a snack. However it is much easier if you just grab the regular cut bacon and don’t have to add any extra work for yourself. 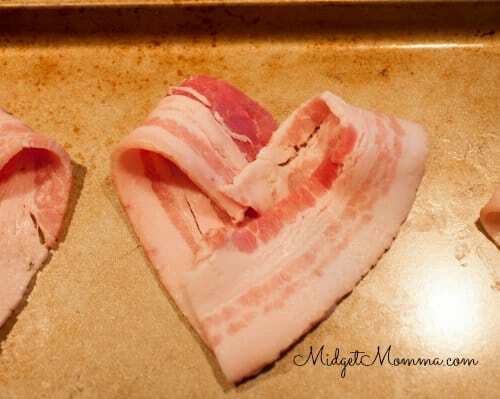 When you are making a bacon heart to go with your Valentine’s Day breakfast, just make as many pieces as you are going to need. You will need 1 full piece of bacon per bacon heart. 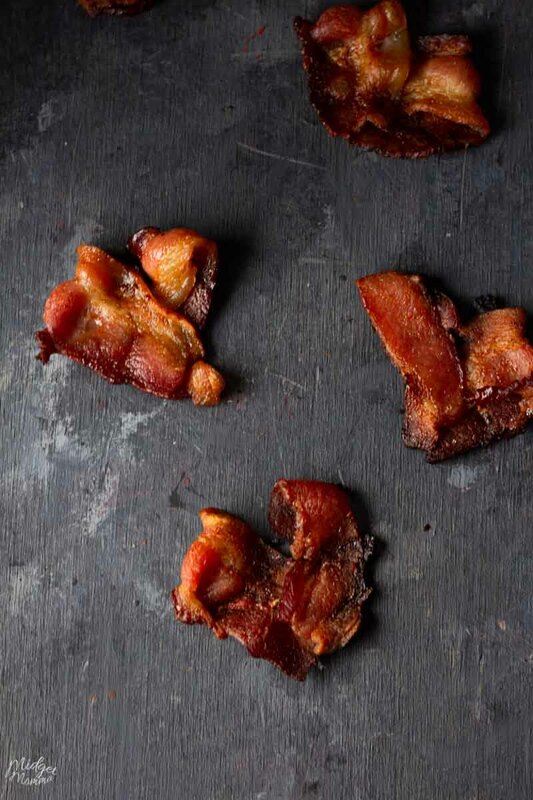 This Bacon heart recipe go perfect with any Valentine's Day Breakfast! Cut your bacon in half. 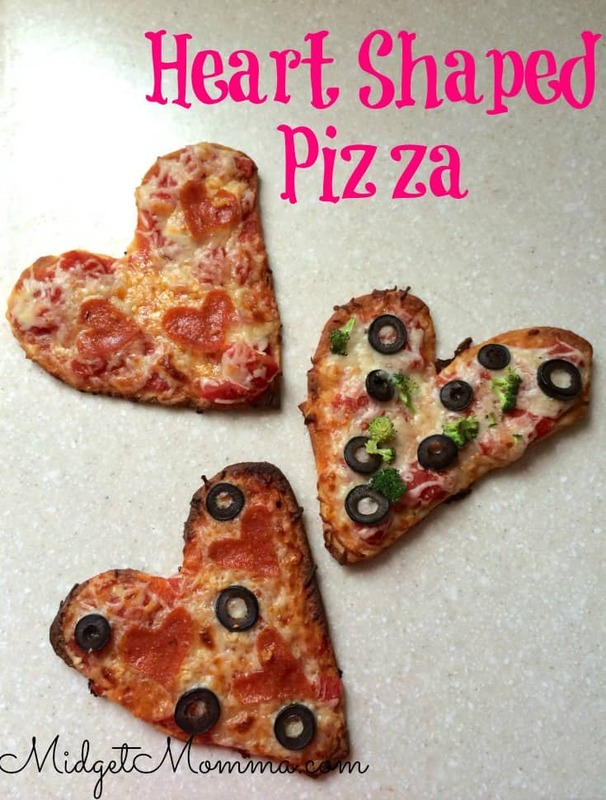 Place your baking on either a cooling rack on top of the sheet pan or straight on to the sheet pan in the shape of a heart. Place the bacon in the oven and turn it on to 400°. Bake the bacon 20 to 30 minutes depending on the style of bacon and how well done you would like it. 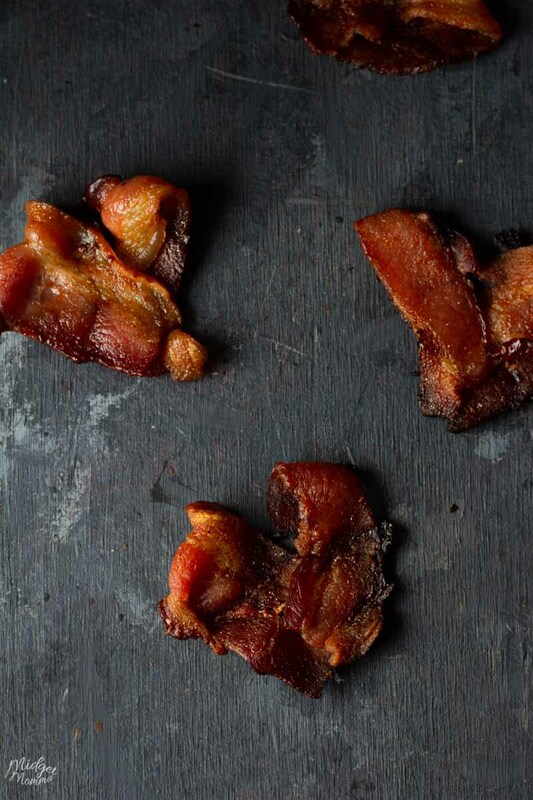 Remove from oven and place the bacon onto a plate that is lined with paper towel. 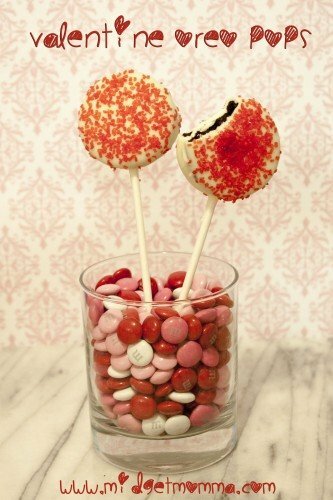 More Valentine’s Day Breakfast Recipes You will love!